and incredibly adorable, making them a favourite in many homes. This little dog is most certainly a crowd pleaser! They are gentle affection and incredibly adorable, making them a favourite in many homes. 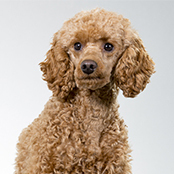 An all-round excellent breed that are adaptable, easy to train and very friendly. The Boston Terrier is a people pleaser who simply adores making their beloved humans smile. Because of this they are very easy to train and will excel in learning new things. However, they can be stubborn so a consistentand gentle approach to training is important. They do not take well to raised voices or harsh tones. 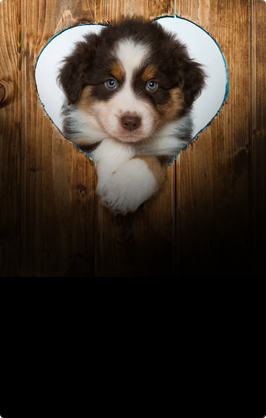 Those adorable eyes will certainly have you allowing your pup to get away with all sorts of naughty behaviour, so positive reinforcement is important. They can be rather hyperactive, like many Terriers, particularly as pups and if not entertained. Training can help with this. As too, improve the bond and language you both share. Early socialisation is very important. Exposing your young pup to as many sights, sounds and scenarios as possible. Puppy-preschools are a great way to do this in a safe and nurturing environment. Enrolling you pup in obedience classes, once they are full vaccinated, is also recommended. 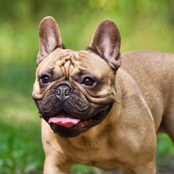 Your pup should be taught how to correctly walk on a leash without pulling to protect their necks. These wee-little dogs are very easy to groom. 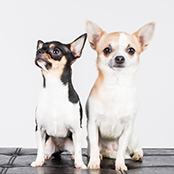 Their short sleek coats require minimal attention; however, they will benefit from a quick rub over with a rubber mitt weekly to remove dead hair and skin. It’s also a good way to check in on their coats for any concerns. They also benefit from an eye clean daily to ensure eye-health and care. Get your young pup used to nail clipping also. As a little dog, they will have a tendency to jump up, keeping nails short will ensure that this habit is not a painful one. 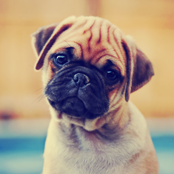 Your little dog does not require a huge amount of exercise and will adapt well to living in an apartment and heading out on a short walk daily. Care must be taken with this breed not to overexert them due to the shape of their faces, particularly in the heat of the day. They will simply love a good play session and do not need a huge amount of space to do this. Like all Terrier breeds your Boston is very intelligent. They will thrive when close to you and pine if you are away. For this reason, considering boredom busting techniques is very important when you are away from home. But, they do like to indulge in food so ensure you remove any ‘treat ball’ or ‘puzzle’ treats out of their daily diet to avoid obesity issues. The Boston Terrier is a wonderful family dog who is very affectionate and loyal. They are great with children of all ages, and will simply light up the family home with their funny antics and enthusiastic. Great for apartment dwellers or those in smaller spaces. Like with all dogs, care must be taken with smaller children and always teach your child how to safely interact with your dog. The Boston Terrier is certainly and inside dog. Due to the shape of their heads, they do not cope well with heat, and their short coats make the cooler weather also intolerable. Many Boston owners will purchase little coats for their pups during the winter months to keep them warm and snug. 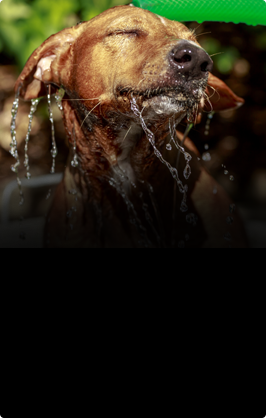 If your dog is spending time outside during the day while you are away it is important to ensure they have a cool area with plenty of shade and shelter.